The aquatics industry has united in a call to parents to go the extra mile in ensuring their children can swim. With figures from the Amateur Swimming Association (ASA) showing that half of primary school children can’t swim, parents are being urged to seek private tuition to supplement compulsory school swimming lessons. But the emphasis should be on seeking quality instructors who are best positioned to teach this lifesaving skill, according to industry leaders. 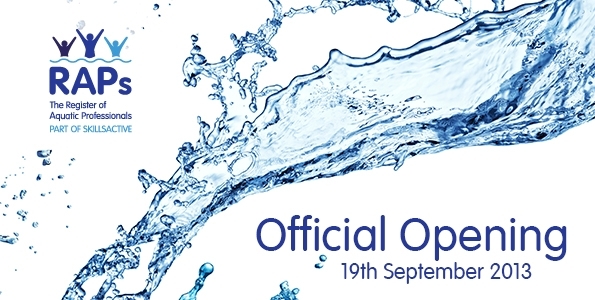 The urgency of this requirement is one of the major drivers behind the creation of the Register of Aquatic Professionals (RAPs) which officially launches today (Thursday 19 September). Created by SkillsActive in partnership with cornerstone organisations from the aquatics sector, RAPs will provide an accessible list of those who hold the relevant accreditation to teach swimming. The creators of RAPs argue that there should be a greater emphasis on recognising quality instructors if children, and indeed adults, are to be taught how to swim effectively. British Olympic bronze medal swimmer Steve Parry will host the official opening of the new Register that will push swimming to the forefront of the public’s minds and make swimming a more widely practiced activity. With ASA figures indicating that 39% of children have no swimming lessons, the qualifications of private swimming instructors will become more important if parents are to ensure their children can swim. Created in partnership with the ASA, The Royal Life Saving Society (RLSS) UK and Swimming Teachers’ Association (STA), RAPs provides a system of regulation to ensure that individuals working in the aquatic industry meet agreed National Occupational Standards (NOS) and best practice guidelines. Stuart Wilson, Register Lead for RAPs, added, “The dangers associated with water are very real. We therefore want to make sure that everyone can swim and has access to the right people should they wish to take up swimming. It’s alarming that the level of non-swimmers is so high. One of our official partners, the STA, has kindly shared some great advice for us to pass on to our members. 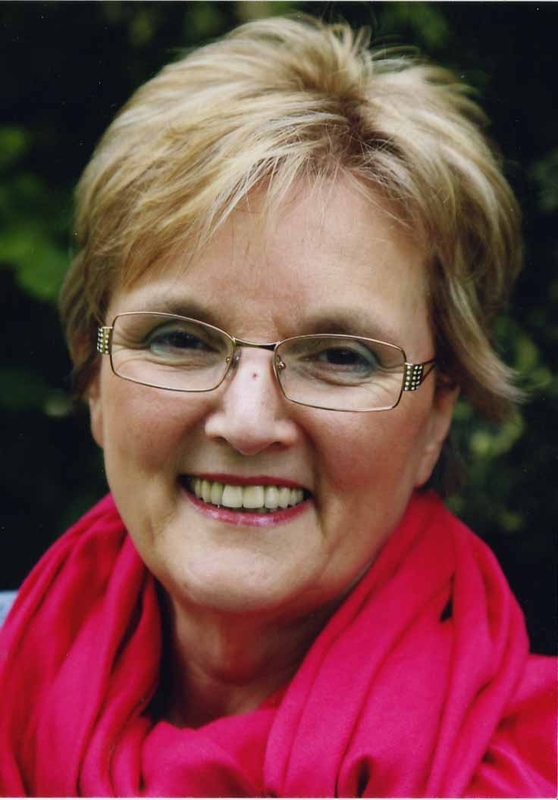 Having trained as a singer, Lisa Smith, STA’s Technical Support Officer certainly knows a thing or two about the voice, and how important it is for swimming teachers to protect their vocal chords. Warming up your voice with vocal exercises can be very effective, meaning that you can start your day with the strongest vocal production possible. One great way to do this is through gentle humming. Many health professionals and vocal coach experts advise easy humming to glide up and down on three notes, moving up a note each time. This way you can gently stretch your vocal chords without causing damage. Whilst humming you should be able to notice the vibrations at the front of your face, and remember it is important to keep your throat relaxed as possible. When humming try using a syllable such as “mum” or “num”. Other voice training practices include relaxation techniques and breathing exercises, as a teacher your voice should have a firm flow by a centred breath and a pitch range that is appropriate to your learners and the individual. Most importantly, Lisa would advise anyone who suffers from a change in their voice or hoarseness for more than two weeks to visit their GP. For more advice on effective voice techniques please follow this link. We’re really excited about attending Leisure Industry Week (LIW) for the first time in September. The event, taking place at the NEC in Birmingham, is a fantastic chance for us to share the progress of the Register of Aquatic Professionals (RAPs), and let you all know about the future plans for the Register. As well as manning a stand, we will also be running a unique, educational session at the three-day exhibition. Led by SkillsActive’s Head of Standards and Qualifications, Stuart Turner, this session offers a unique opportunity for those in the industry to discuss and address some key issues concerning RAPs, including the SQF structure, along with traineeships and career pathways in the industry. Places for the session are limited, and you must inform RAPs of your attendance in advance. Just email RSVP@skillsactive.com to confirm you would like to attend. Just make sure you mention the date and event in your email. LIW is the UK’s leading exhibition for the leisure industry. This annual trade show connects you the with the latest products, services, brands, and innovations the industry has to offer and with the attendance of leading companies and industry experts you will be able to see what’s new on the market, and be inspired to develop fresh ideas and experiences for your members and customers. What’s even better is that if you register in advance it is free for you to attend! However, non-registered visitors will have to pay a £30 entry fee on the door. So why not register your attendance today by visiting the LIW website. We hope to see you all there! 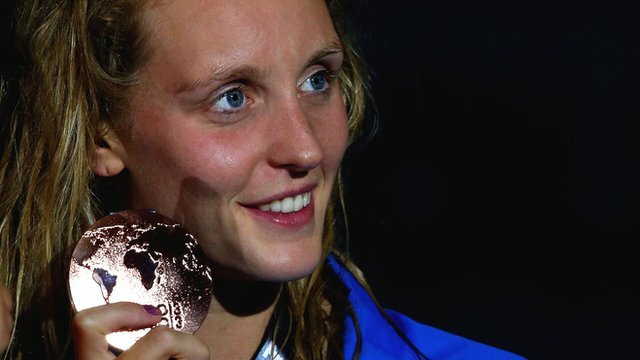 On the back of a somewhat disappointing FINA World Swimming Championships for Britain, RAPs would like to congratulate Fran Halsall for her bronze medal in Barcelona last month. Fran set her third fastest 50m freestyle time of her career. She also finished fourth in the 50m butterfly. Unfortunately Fran was the only swimmer in the British team to win a medal, with three of our swimmers coming in fourth, just one place out of the medals. This was the first international meet under the new leadership team of Chris Spice, the National Performance Director and Bill Furniss, Head Coach. They have announced that they must make changes to ensure British Swimming gets back on form and starts to compete for more medals. “For the first four weeks of my job, Chris and I were looking at the restructure. We have looked at everything we do, all over Britain. “There has been a massive amount of work to get a new performance management team in. Spice called the Championships an “assessment meet” which has shown the team their current standing and where they need to be to begin to have an impact internationally. The leadership team are keen to bring back ‘event’ and ‘relay’ camps and will aim to improve on the psychological aspect of racing. Although this year’s late trials allowed juniors to make the team, it was not so beneficial aerobically because of the short gap between the trials and the main event. Because of the timing of the Commonwealth Games next year, trials will be held in April. The earlier trials should result in a stronger build-up for the team, and hopefully bring more medals as a consequence. Recently we have seen numerous news reports of people drowning. As well as being a swimming teacher, I am a Trainer Assessor for the STA and the RLSS. I am also a qualified lifeguard, and therefore know how to rescue. There are so many misapprehensions about safety in water. On two separate holidays I have undertaken two rescues. Both times the child had fallen into the pool and was able to be rescued with a simple reach, but each time the parents were totally unaware of the child’s predicament. It is up to the swimming teachers to explain to the parents about safety in the sea and in unguarded holiday swimming pools, either abroad or in hotels in this country. At what age or standard is it considered that a child is safe in and around water? Nobody should be that specific. I used to sit on the side of the swimming pool, sun cream, glasses and hat on, feet in the water and just watch my kids at play. I got a lovely brown back and spent my relaxing time, knowing that my children were safe. I have the training to affect a rescue, I know the dangers of water and have the experience of knowing when a child is getting into difficulty in the pool. I know what to look for. Most parents haven’t got this training. I understand the need to take a buoyant aid when affecting a rescue, so that there is a distance between the rescuer and the casualty who will be in a severe state of panic. A drowning casualty with high levels of adrenalin flowing throughout their body will have an immense amount of strength certainly enough to get the untrained rescuer into trouble themselves. It could be argued that a good swimmer is safe. However, to understand what a good swimmer is we need to quantify the word “good”. Throughout my career I have met parents who think their children are good swimmers. This has ranged from the inadequate National Curriculum’s 25m swim which takes place in a calm pool in a school class, to being a top club swimmer. These 25m swimmers are the most at risk. They have their badge which was gained by “swimming” in deep water, and they think they are better than they really are. The top club swimmer may be able to get himself or herself out of difficulty, but without lifesaving skills, would put himself or herself in trouble if they tried to rescue a friend. Holiday pools abroad on the whole do not have adequate lifeguard cover. Parents must be advised to forget their holiday book and relaxing in a horizontal position by the pool; an accident or near drowning is going to ruin their holiday. They must not take the risk. My advice would be to go to the pool and find the safest place for the children to play and swim, and the place where the parent could stand up in the water and therefore walk and do a “wading” rescue. If a parent has no training in rescue techniques, it is very dangerous for them to affect a rescue in deep water when neither of them can stand. It is essential to tell the children in what area they can play, and then the parent or suitable adult must decide how they are going to watch them. In the sea there are currents, and at my local beach at Ryde on the Isle of Wight, there are sand banks on which people get marooned. Fortunately after a very serious accident which claimed three lives in the 1970s, the RNLI have an inshore rescue boat stationed there. The beaches, especially in this hot weather, are beautiful and the water is tempting. Parents must be taught how to act responsibly. Going to lifeguarded beaches is a good idea, but they must not rely on the lifeguards to babysit their children. When the beach is busy they have many people in a vast area to watch and then quite a distance to run to get to an incident. Planning is the key. A plan should be made as to when and for how you’re in the water for. We all like to have fun, but we must all be sensible and vigilant. As aquatic professionals you will know that being equipped with the right swimwear is critically important for competitive swimmers. Every second counts, so it is important to have the best fabric and the right body coverage. Last month our blog covered how modern swimsuits can affect performance. This blog will look into the history of swimsuits and how they have developed over time. At the end of World War II, companies began to research and develop materials for swimwear that could increase the swimmer’s speed. Swimming costumes have been around since the 1800s. In the early 20th century they were made of an unflattering knitted material, which became heavy when immersed in water – not exactly ideal! British swimmers J. Slane (left) and C. Stephens as they trained for the 1912 Stockholm Olympics. 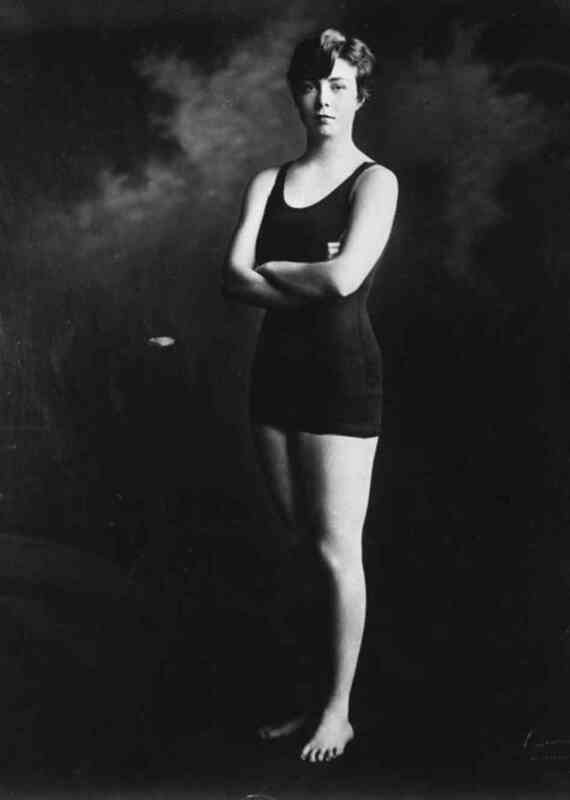 Lighter, silk outfits were introduced for elite swimmers for the 1924 Olympics. 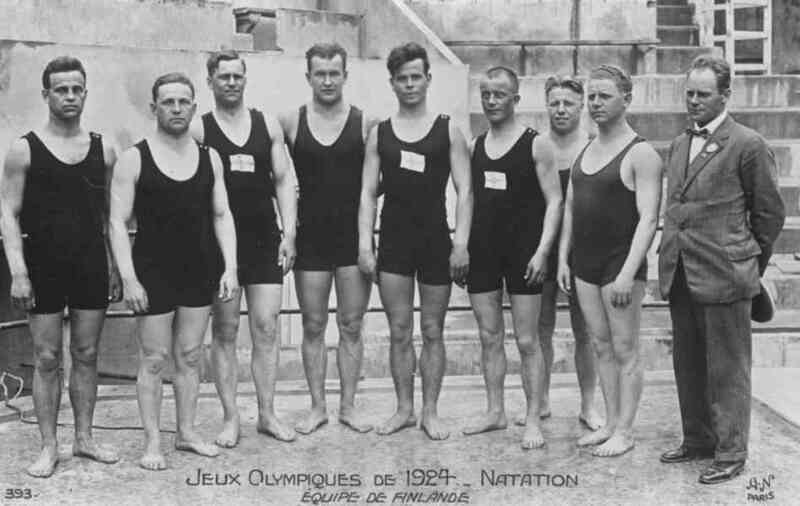 The Finnish swimming team during the 1924 Olympic Games in Paris. In the 1930s rayon, an artificial version of silk, was introduced, but it wasn’t until the 1940s that swimwear technology really took off. Manufacturers started to look at creating a costume which was attractive and comfortable, without causing offence. Developments in man-made fabrics such as nylon in the 1940s and 50s meant swimsuits became light, comfortable and cheap to produce. Corinne Condon, an American swimmer poses for this portrait circa 1950. By the 1960s swimming had become big business and athletes were getting faster all the time. Friction, however, was still a huge problem, which meant that athletes still couldn’t swim with 100% efficiency. One fraction of a second could make a difference between a gold and silver medal. In the 1980s Speedo became the first company to develop nylon/Lycra swimwear. These flexible and lightweight suits are still the most popular today. 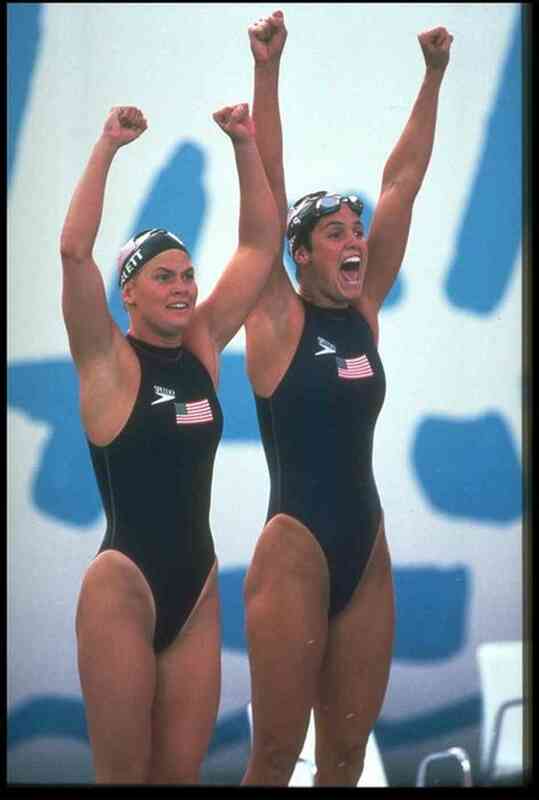 Nicole Haislett (left) and Dara Torres: U.S Gold Medallists during the 1992 Barcelona Games. Speedo was the suit of choice in the men’s 100-metre backstroke during the 1996 Atlanta Games. Speedo’s biggest innovation popped onto the scene in 2000. 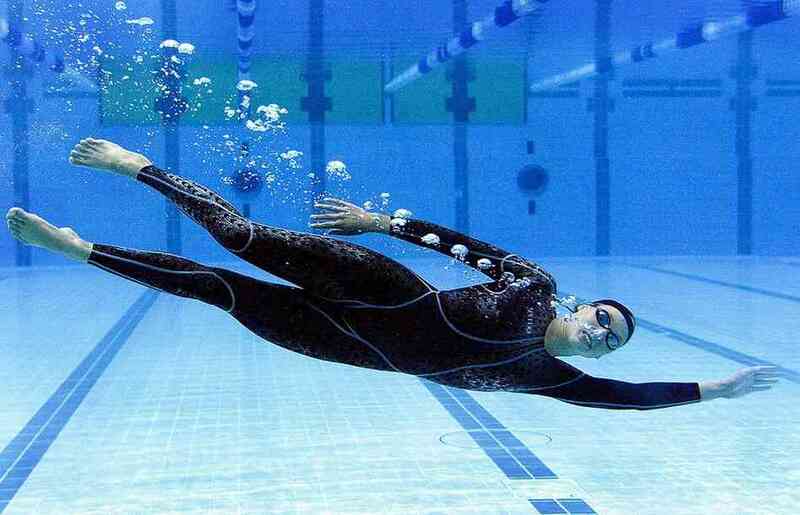 The all-in-one body suit was designed to mimic the movement of a shark. It sparked debate over the technology that cut swimmers’ times dramatically. Stars such as Michael Phelps wore the neck-to-ankle suits for the Athens Olympics in 2004. Australian Susie O’Neill shows off a new style costume in 2000. During this period there were huge numbers of world records broken, which prompted The Federation International De Nation (FINA), the governing body for swimming, to bring in new guidelines. Non-textile suits were banned and the amount of body coverage was limited to between the waist and knees for men, and not past the shoulders or below the knees for women. Designers had to come up with new ways of maintaining speed, whilst keeping within the guidelines. Speedo responded with their Fastskin3 system, comprising of a cap, goggles and suit, engineered to work in unison. The system as a whole is meant to benefit swimmers in areas that traditionally slow them down, such as by giving an 11% improvement in oxygen economy, which enables them to swim stronger for longer. British swimming stars Rebecca Adlington and Liam Tancock model Speedo’s Fastskin3 swimwear systems. Designers will continue to develop new innovations in swimming costumes to help swimmers efficiency and new costumes will always be under the spotlight, for the very reason they are created – to help swimmers go faster. We are interested to see what swimwear companies come up with next! All open water swimmers have their preferred place to practice, but there are three things all open water swimmers should think about, whether practice is outdoors or in the pool. Training outdoors is excellent for longer stints. Sighting and drafting skills can be refined. 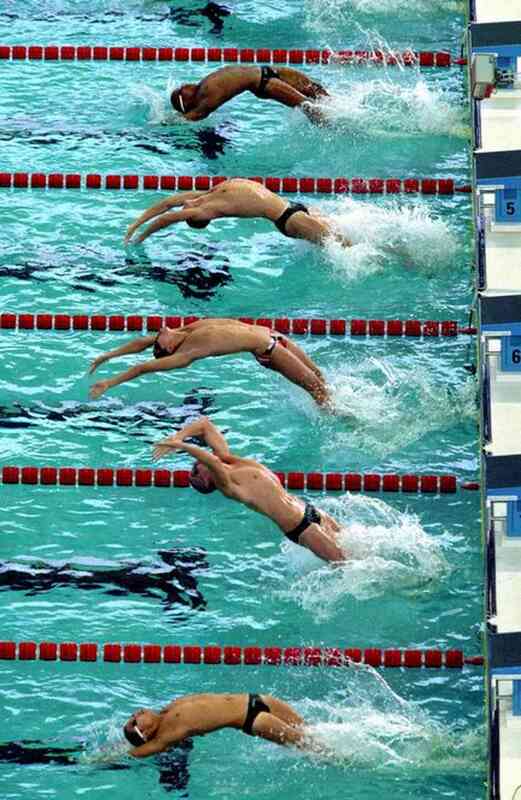 It is a good idea when swimming outdoors to wear what you’ll be competing in. It will give you a better idea of how you will perform in an actual event. 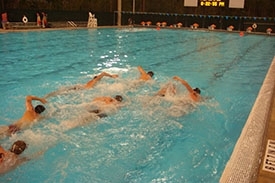 Although it is essential to train outdoors, it is also important not to forget the positive benefits that a session in the pool might offer: namely technique and fitness development. The pros and cons of both pool-only and open water-only environments are listed below. These are taken from a recent article by Swim Smooth in H2Open magazine. Best results are achieved by adopting a combination of both methods. 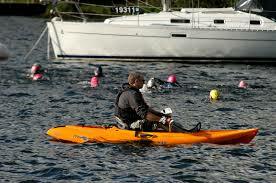 Competitive open water swimming is completely different to racing in the pool. Optimum performance can only be attained by many hours of effort and the best results come from training in a combination of both outdoors and in the pool. It seems that summer has finally arrived (we really hope it stays!) and if you can’t make it to the seaside then your local lido might just be the perfect place to go! Whether you’re looking for a quick dip to cool off or perhaps fancy a change of scenery to your usual swimming regime the open air is certainly a great alternative. 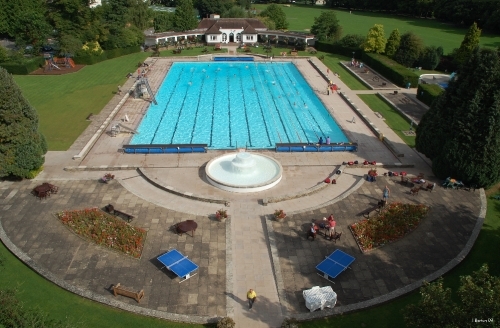 Here’s our quick round up of some of the best lido’s around! This once derelict 1930’s building has recently been re-furbished, re-opening in 2006 after 18 years of closure with the capital’s first Olympic sized heated outdoor swimming pool. 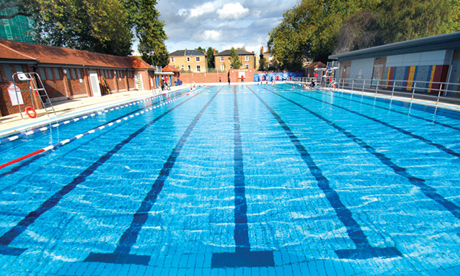 The lido first opened in 1932 and has now been rebuilt to highest modern standards. With plans to build a retractable roof, this lido provides year-round activities for all ages and abilities. A great place to relax in the sun on the Sunbathing Terrace or you can grab bite to eat in their cafe. If you’re on the SouthCoast and fancy a swim, you could join the masses on pebbly Brighton beach, but if you want to avoid the crowds then why not go a mile up the coast to the wonderful art deco lido at Saltdean. It may not be the largest of lido’s, but it certainly has its charms on a hot summer’s day. In April this year Campaigners unveiled plans to build an extra indoor pool at the lido, so hopefully you’ll soon be able to enjoy the lido all year round! Facilities include two pools, a diving board, cafés and sun terraces. Saltdean Lido is also a bit of a bargain only costing £4 for adults, £3 children and £2 for under-5s and concessions. It is currently open 7am to 9pm weekdays and 10am to 6pm on the weekends, until mid-September. 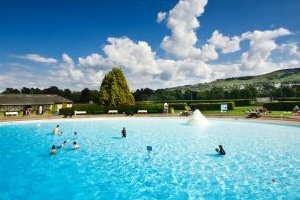 Set on a four acre site, the Sanford Park Lido is a fantastic outdoor pool based in the heart of Cheltenham, with the beautiful countryside of the Cotswolds nearby. The lido itself is a children’s paradise with slides, a children’s pool and a paddling pool. The 50m pool is also an ideal place to train, with two lanes reserved most days. The 2013 season opened back on 4th May and will run until the 29th September. They even have four early morning swim sessions a week opening at 6:30am and 8am on Sundays, for those who fancy a bit more quiet time when swimming. However, it’s not just swimming they offer down at the lido. Visitors can play volleyball, table tennis and can even experience theatre and cinema in a unique setting. Built in 1935 as part of the Silver Jubilee celebrations for King George V, the lido has remained open since then from May to September each year and offers visitors fantastic range of things to do. The site has an indoor and outdoor pool, tennis courts, bowling greens, a café and an outdoor picnic area for visitors to enjoy. During the summer season it will cost £5.20 as an adult, £2.75 for juniors and £2.20 for concessions and is open from 10am-5.30pm Saturday and Sunday (open until 7.30pm Monday to Friday). 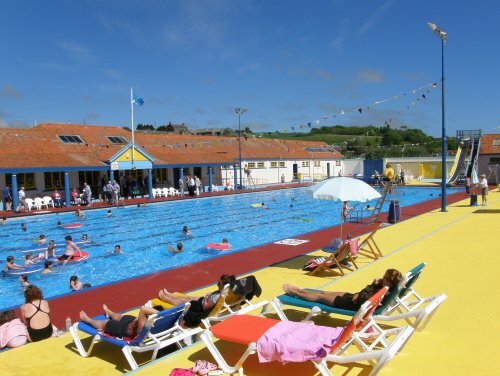 The Stonehaven Open air pool and Lido first opened in June 1934 and is now open every day throughout out the summer season, officially closing on Sunday 1st September. The pool is located within a beautiful Art Deco building which holds a Category B listed buildings status and has been rated by VisitScotland as a 4star attraction. The lido offers visitors walled sun terraces, free patio armchairs and sun loungers, full disabled access, two water chutes and a poolside café and on Wednesday nights you can even go for a moonlit dip as the pool is open until after midnight. They also offer twice a week early morning swim sessions between 6:30am to 10am and daily quiet swims that do not allow for any music or unaccompanied children between 10 until 11am. For more general swimming the pool is open Monday to Friday 11am until 7.30pm and closes at 6pm on the weekends. We’re really excited to announce that for the first time RAPs will be attending Leisure Industry Week (LIW), which takes place between the 24th – 26th September 2013 at the NEC Arena in Birmingham. For those of you that haven’t heard of LIW, it is the UK’s leading exhibition for the leisure industry. This annual trade show connects you the with the latest products, services, brands, and innovations the industry has to offer and with the attendance of leading companies and industry experts you will be able to see what’s new on the market, and be inspired to develop fresh ideas and experiences for your members and customers. By attending this fantastic event you will also be able to meet with new and existing suppliers, attend high-level seminars, take part in interactive activities and network with industry colleagues. What’s even better is that if you register in advance it is free for you to attend! However, non-registered visitors will have to pay a £30 entry free on the door. So why not register your attendance today by visiting the LIW website. We hope to see you all there! It’s a busy time here at RAPs with the pilot closing this month. 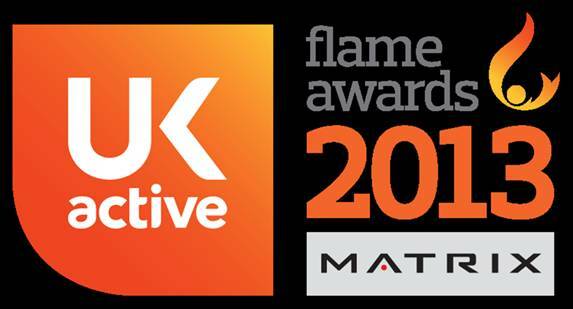 To help build on the pilot’s success and help develop a wider awareness of the Register, we attended Flame 2013, an event run by ukactive. With a conference taking place during the way, a fantastic learning and networking opportunity was presented to the delegates, made up fitness professionals from all across the industry, from swimming instructors and lifeguards to directors and CEOs. An impressive programme was installed with seminar-style sessions covering a diverse range of topics, including marketing, technology, management, personal development, sales and service. The event concluded with an awards evening where leisure, fitness and health clubs were rewarded for a range of successes and best practice over the past 12 months. Winners included Featherstone Sports Centre, who won Educational Club of the Year (Schools) and DC Leisure, who won the Leisure Centre Operator of the Year award at what is considered to be the most prestigious health and fitness facility awards. Flame offered RAPs a great chance to catch-up with some familiar faces, as well as meet some new ones in what is a really exciting time for the Register. If you managed to make it to Flame, we hope you enjoyed it as much as we did!